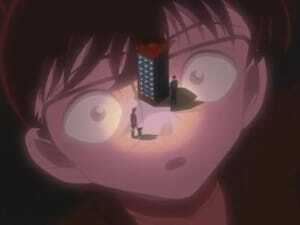 With Takagi-kun in charge of checking over the video tape with the Detective Boys, Conan notices something unusual. 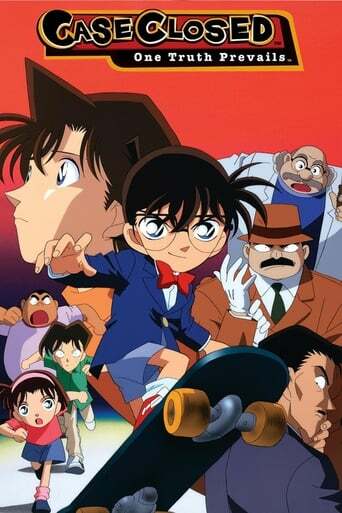 With the absence of something that should be there, the Detective Boys help solve the case, and the culprits are caught....but is everything solved? 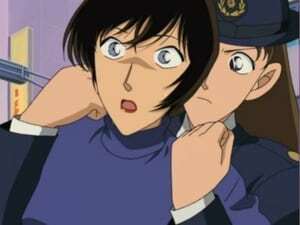 The death of Satou's last partner haunts her when she is put up against the same bomber. 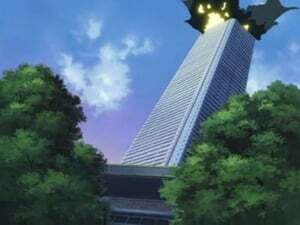 The bomber likes to place bombs around the city. 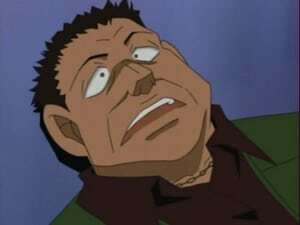 Some bombs will display the location of an even bigger bomb if left for the last three seconds, this resulted in the death of Satou's partner in the past. 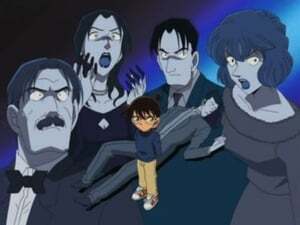 After following clues placed by the bomber, Takagi and Conan are trapped in an elevator, where they await the bomb's clue to the location of an even bigger bomb. 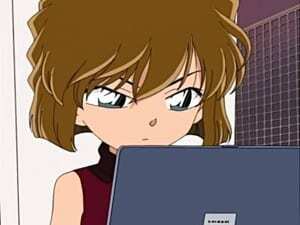 Conan disarms the bomb before the last second as he has already figured out the last part of the code. He stops the bomber and he is captured. 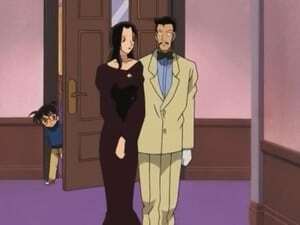 Mori Kogoro was invited to make an introduction in an episode of a popular detective TV serial. 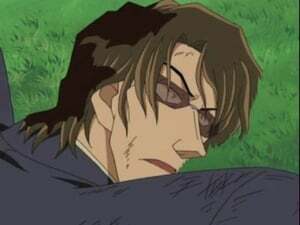 The star of the show revealed himself to be very disagreeable with the rest of the cast, one of whom, Ruri Amaki (雨城 琉璃, Amaki Ruri?) 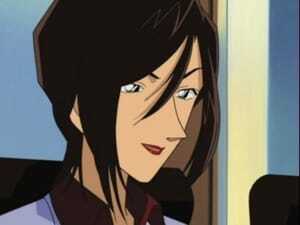 turned out to be a fellow classmate of Kogoro when they were children. 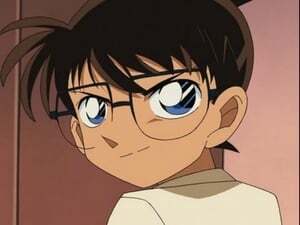 Ruri revealed to Ran and Conan who were present that she, Kogoro, and Kisaki, were classmates since kindergarten. 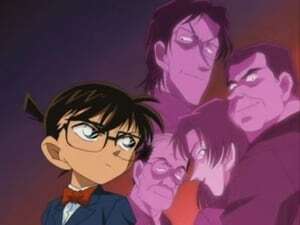 Ran and Conan learned that the brainy Kisaki and the underachiever Kogoro seemed inexplicably drawn to each other, to quarrel. 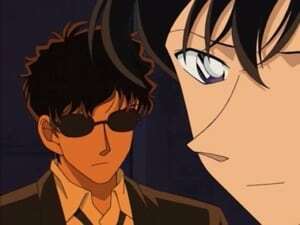 As the other classmates suspected, time showed that the arguments were intended to disguise their mutual attraction. 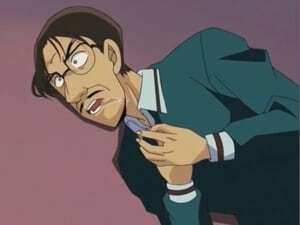 The star challenged Kogoro to solve the mystery of the murder scene being filmed. 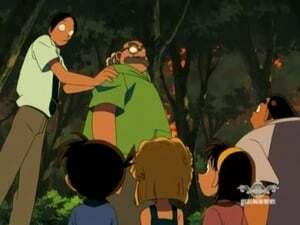 To prevent Kogoro from embarrassing himself, Conan used the tranquilizer dart on Kogoro and cracked the puzzle with the clues present. 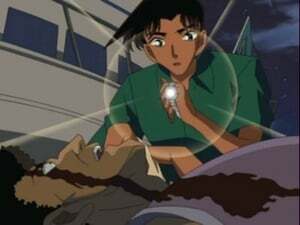 During a break in the filming, the star was discovered with his throat slit, with Ruri over the body and her hands bloody. 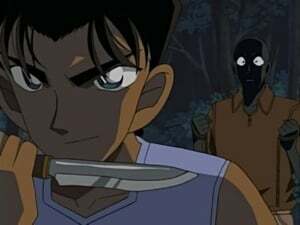 During a break in the filming, the star was discovered with his throat slit, with Ruri over the body and her hands bloody. 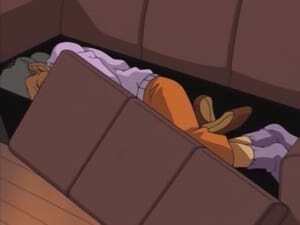 No murder weapon could be found. 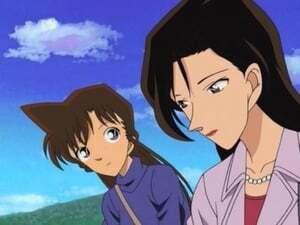 The immediate suspects were members of the cast, including Ruri and the Nagumo (南雲?) 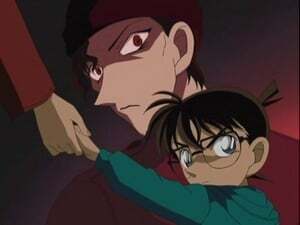 father-son. 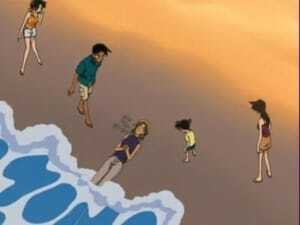 As the murder took place in the jurisdiction of Shizuoka Prefecture (静岡県, Shizuoka-ken? 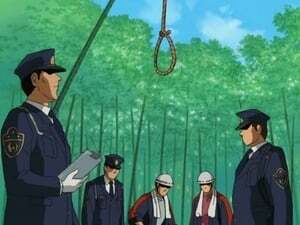 ), Inspector Sango Yokomizo (横溝 参悟, Yokomizo Sango?) 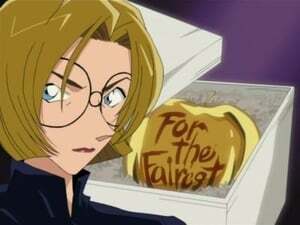 arrived to take charge of the investigation. 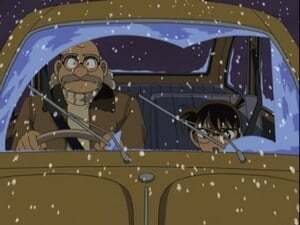 Kogoro and Conan worked hard to find the clues. 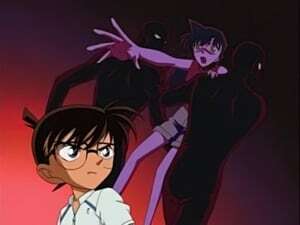 When Conan finally figured out the solution, he realized he had used up his only tranquilizer dart earlier, and had to resort to nudging Kogoro towards the truth. 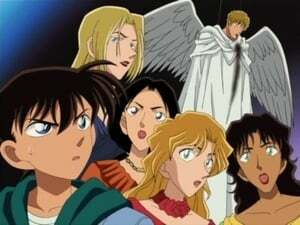 Conan and Mouri stumble upon the murder of a game designer, one that appears to have had a link to Tequila, the member of the Black Organization who was killed in an explosion in episode 54. 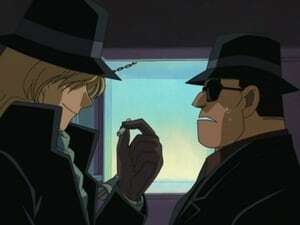 He attempts to solve the case while gathering info on the organization in the process. 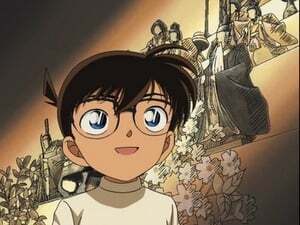 Conan uses Mouri to solve the case, using clues gathered during the investigation. It turns out that the system of "Braille" has something to do with the identification of the murderer, but how? 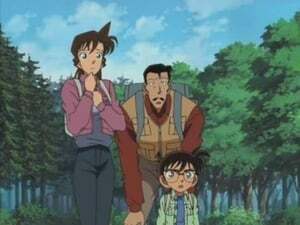 After the case is solved, Ran and Conan go walking in the city. 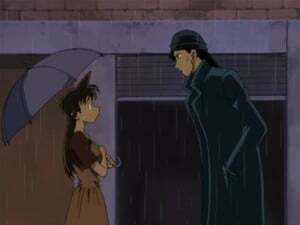 They find themselves face to face with Shuichi Akai who just happens to be exiting out of a phone booth, ending the episode with the mysterious encounter.